Jesse Ray Owens, age 96, of the Satolah community, passed away on January 20, 2019. Jesse Ray was born the son of the late Frank and Josie Owens on July 17, 1922 in Rabun County. As a young man, he served his country proudly in the Second World War. Jesse Ray was a Christian throughout his life, and attended the Macedonia Baptist Church. In his professional life, he worked as a carpenter and as an artesian, crafting the poplar bark buckets for which he was well known. He loved being outdoors, enjoying hiking and fishing. He loved his family and will be remembered as a loving husband, father and grandfather. 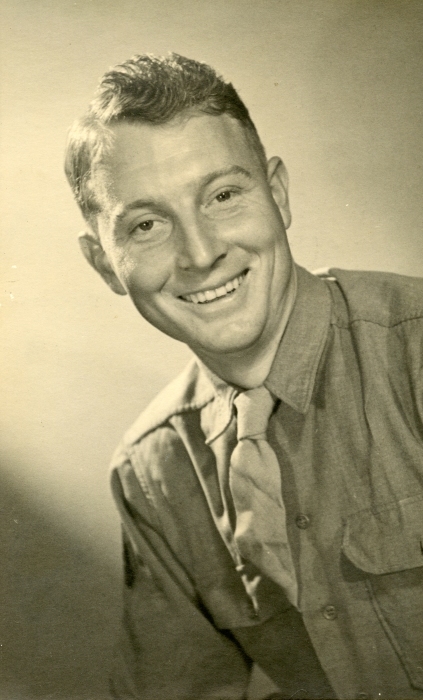 In addition to his parents, Jesse Ray was preceded in death by, his wife, Jean Holt Owens; his brothers, Riley, Dave, Doyle, Adolph, Leroy, Edgar, and Eugene Owens; his sisters, Iva Owens McCall, Eloise Owens Hudson, Oveline Owens, Effie Owens Greene. His survivors include his two sons, Clay Owens (Vickie), of the Satolah community, Bill Owens (MaryAnna), of Clayton, GA; his daughter, Donna Rogers, of the Satolah community; seven grandchildren, nine great-grandchildren also survive him. The family will receive friends at the Macedonia Baptist Church on Wednesday January 23, 2019 from 1:00 pm until 3:00 pm. A funeral service will be held on Wednesday January 23, 2019 at the Macedonia Baptist Church at 3:00 pm with Rev. Roy Lowe and Rev. Zane Talley officiating. Burial will follow in the Macedonia Baptist Church cemetery. His pallbearers will be Dillon Owens, Ben Rogers, Jesse Owens, Chris Houston, Tommy Owens, James Reed. The family asks that in lieu of flowers, donations should be made in Jesse Ray’s memory to the Macedonia Baptist Church Cemetery Fund 256 Bee Gum Hollow Lane Clayton, GA 30525.